The Mill building houses a complete blacksmith’s double hearth forge, made by A Handyside of Derby, where a major part of operations here took place, often involving two smiths, four strikers and several apprentices. This is probably the last working example of this manufacturer’s forges. 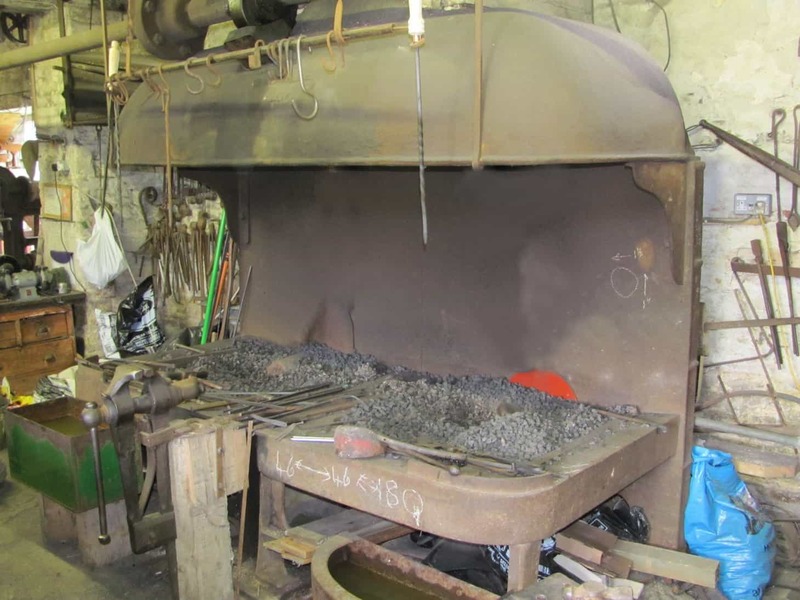 To see a working forge like this intact is an exciting experience and it is very popular on open days when visitors take the opportunity to make their own poker or toasting fork under the supervision of Society demonstrators. Interested?….Why not book your own group or corporate visit to one of our Poker Nights?